Zoomlion, the company that manages waste in Ghana, has commissioned a recycling plant in the city of Accra. The plant, the first of its kind in the country, is built on a robust technology to suit Ghana’s weather conditions. With a daily capacity of 200 tons, the plant transforms waste into fertilizer and raw materials for local industries. The site was built in partnership with Messers Komptech Limited, an Austrian supplier of waste recycling equipment. 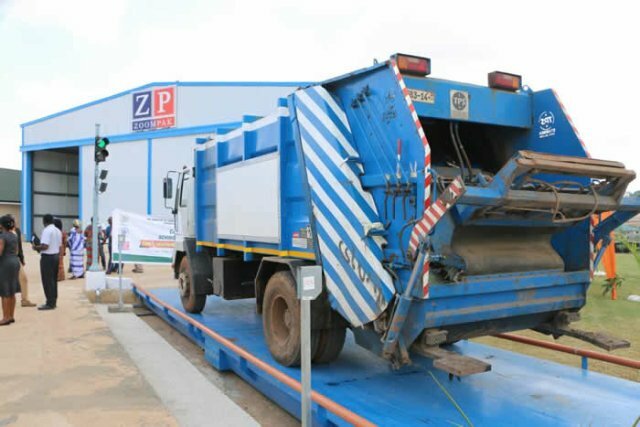 According to the Executive Chairman of the Jospong Group of Companies (JGC) and owner of Zoomlion Ghana Limited, Joseph Siaw Agyepong, the waste management hub, is equipped with dedicated units, which will appropriately recycle metal scraps into usable metals, and damaged vehicle tires into brand new tires. Also, the plant will transform PET bottles and general plastics into pellets, waste bins and bin liners for waste collection, broken or unusable glasses into usable glasses for construction, etc., organic waste into compost fertilizer for farmers. Agyepong further explained that organic waste, 100 tons per day, is recovered in a biological way. The plant capacity is in line with the demand of the city of Accra, with a population of more than 2 million inhabitants, and around 940 tons of waste per day. In all, 16 plants similar to the one in Accra will be built in Ghana. Equipment for the construction of three more recycling plants has already arrived in the country, the company executives said. Posted by Emmanuel Agbenonwossi on April 9, 2019. Filed under Business. You can follow any responses to this entry through the RSS 2.0. Both comments and pings are currently closed.